The Stage Zero 6-foot Bundle is our premier budget product for filmmakers wanting to add precise repeatable motion-controlled timelapse and video footage. This is a complete Stage Zero bundle controlled by the NMx digital controller. Note: The StageR that is displayed on the product image is not supplied with this package. This bundle is supplied with a digital stepper motor and not with the displayed DC motor! The Stage Zero 6-foot bundle is our most affordable yet very versatile single axis slider controlled by the digital NMx controller. 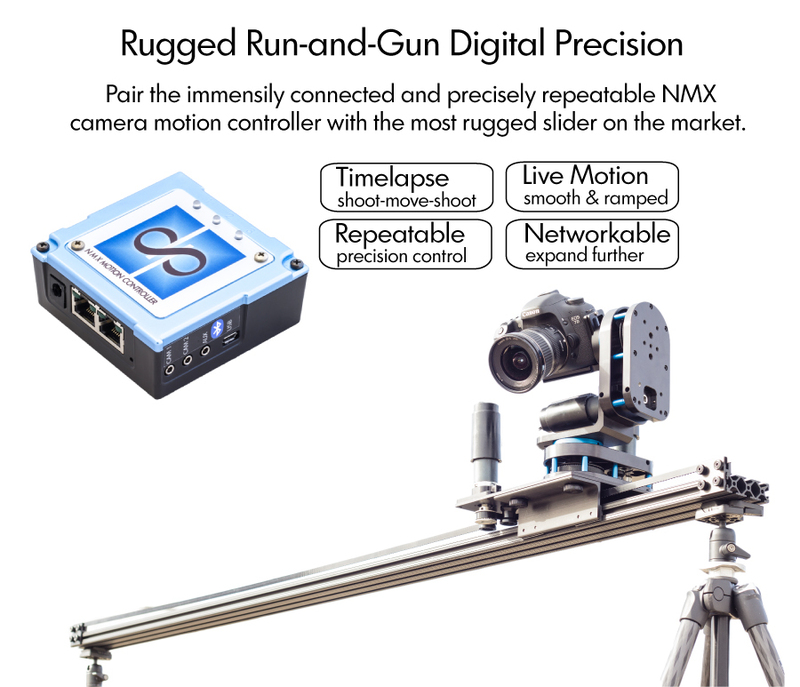 This default package comes with everything you need for a 6-foot stage zero motorized sliding dolly with the New digital NMX Motion Controller. Includes all the extras you need for a fully-functional timelapse and video digital motion dolly. Just add a camera and support (tripods), a optional head to support the camera and you'll have everything you need to start shooting timelapse and video.